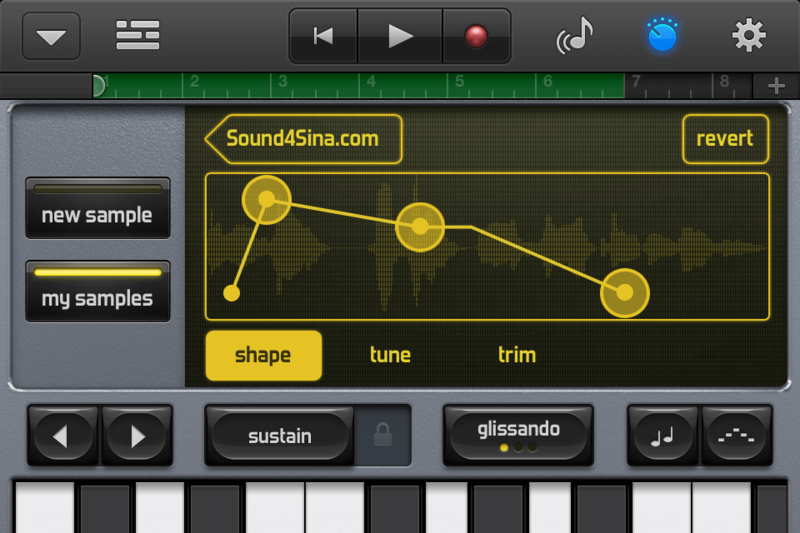 The new Apple GarageBand 1.2 was released today, along with the new iPad 3/HD (or The New iPad, as they called it). With the Retina Display and the faster Dual-core A5X processor, GarageBand will surely be much smoother and more technically consistent, with less hiccups and loading issues. 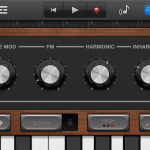 I like using GarageBand on the iPhone 4 while being on the run, but the A4 processor has not been keeping up with the application, mostly feeling sluggish and not responsive. Same issue has been noticed on the original iPad. Heck, I am a power user, so perhaps I am exaggerating, but every Mac user know that Logic Pro 9, with dozens of tracks running simultaneously on a Macbook Pro is more stable than a simple DAW like GarageBand. It always seem to be panting for more CPU power. But hopefully, the processing power of A5X will keep up with the work load. 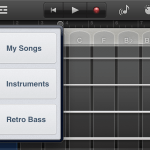 So what’s new in the new version of GarageBand 1.2 for iPhone and iPad? The update weighs in at 801 MB and cost $4.99 (free if you already own it). One of my favorite improvements was seen in the sampler. It makes the process very easy and it is actually fun to work with the feature now, as opposed to its predecessor. Here, I have recorded a sample with the built-in microphone, and I used the trim function to cut unwanted parts of my sample. The sample can be saved and retrieved at a later point from the sampling library. 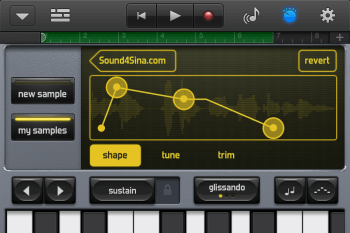 Now, the interesting part is that you can adjust the ADSR (under shape), which stands for Attack, Decay, Sustain and Release. I wrote about this feature in my project back in 2005, and I also made an animation to explain how it works (see below). Any user of a synthesizer or keyboard as well as all studio producers know about this essential feature when it comes to sound modeling and sampling. 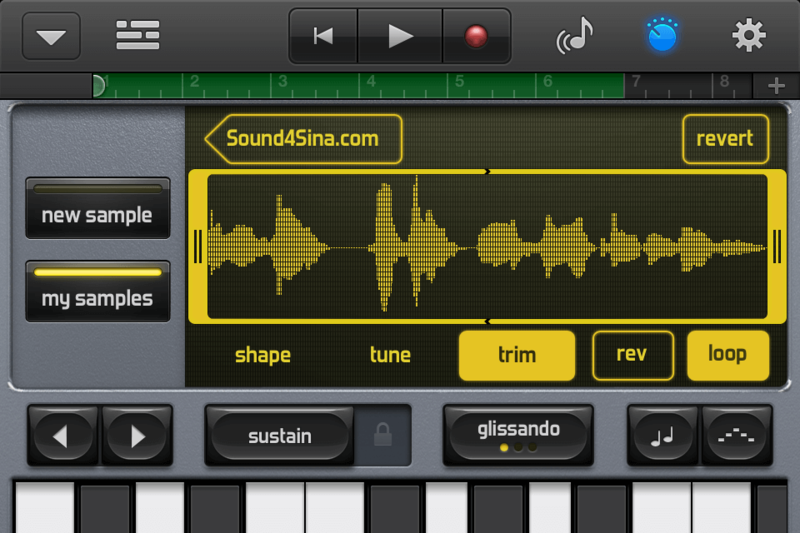 And I am really glad that the it has been integrated into GarageBand! There is another function that I believe will be very useful, and that is the tuner. It is basically a pitch control (ranging ±36 units), with the possibility of making very fine adjustments to the tune by going ±50 units. The keyboard buttons work as a trigger, so its works exactly like any other (synthesizer) sampler that you would have worked with, both as a standalone device, or on digital audio workstation. 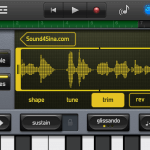 These are pretty amazing features, and it will surely increase the productivity and simplify the process of making music on both iPhone and now the new iPad with the increased processing power. This is an animation of the functionality of ADSR envelope that I made. The Attack starts once the key is held down, and the envelope is sustained until key is released. Other new features that have been announced, is the Smart Strings which now will join the Smart family, including Smart Drums, Smart Bass, Smart Keyboard and Smart Guitar. Apple is really trying to make it easy to make music, and the smart feature definitely allow beginners to make music by a few screen taps without going through the hassle of learning musical notes. Simple is that. 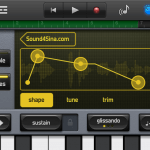 And the Smart Instruments is certainly the gateway to music production on iOS, apart from their native Mac application Logic Pro, which is the standard DAW for semi-pro and pro musicians. 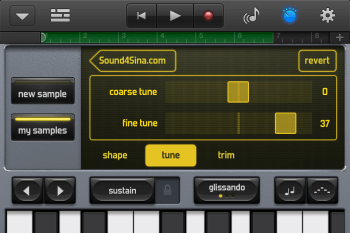 The Note Editor is probably one of the most wanted features, and can now be used on tracks that you have either played manually (on the standalone instruments) or on the smart instruments. 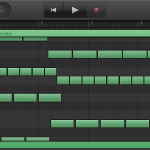 Once you are done with the recording, go back to the overview for all channels and select the track, followed by a tap on the track pattern (the green bar). There is an edit option in the menu bar, click on it. This will open the Note Editor. 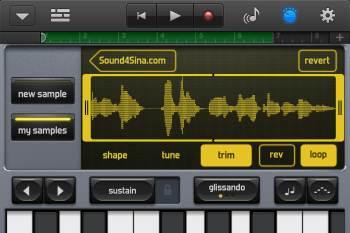 You can pinch the screen to zoom in, and from there it is possible to select individual notes that appear in the selected region for that track. If you click on a specific note, a small option screen will show up, and from here you can choose to either cut, copy or delete – and now also adjust the velocity (volume) of the note. 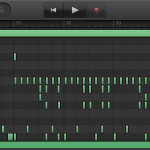 You can do this to every individual note in the designated track, on any of its octaves (from C-2 all the way up to C8), and there are many variations on how to use the velocity to create a swing effect, often seen on drum machines and in music software. One issue with the Note Editor is the lack of visual overview on the velocity of each note that has been edited. So it makes it very difficult to do multiple velocity edits, and keeping track (no pun intended) of the setting for each note. It could be resolved by adding a color fade to the velocity; the lower number, the lighter color of the note, and so on. 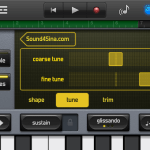 But in general, the user interface in the application is very consistent and straightforward, thus making the trial and error process short so you can get started with the music production right away. Also, another feature that would be nifty is L/R panning and effect designation for each percussive instrument for the drums (both for Smart Drums and manual drums). But these features would rapidly increase the workload on the processor, so I don’t foresee any of theses additions in the near future. The next step would be VSTi and VST plugins. As to date, GarageBand on the Mac only support AU plugins (Audio Unit), which is not technically comparable to the aforementioned VST (Virtual Studio Technology) that is the widespread technology used in modern DAW’s. 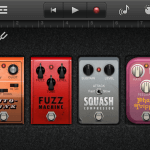 that combines an easy-to-use instrument interface adapter with guitar and bass tone software for your Apple device, whether it is an iPad, iPhone or iPod Touch.